This Drake-inspired Christmas sweater is sure to be a hit at any of your upcoming holiday parties. 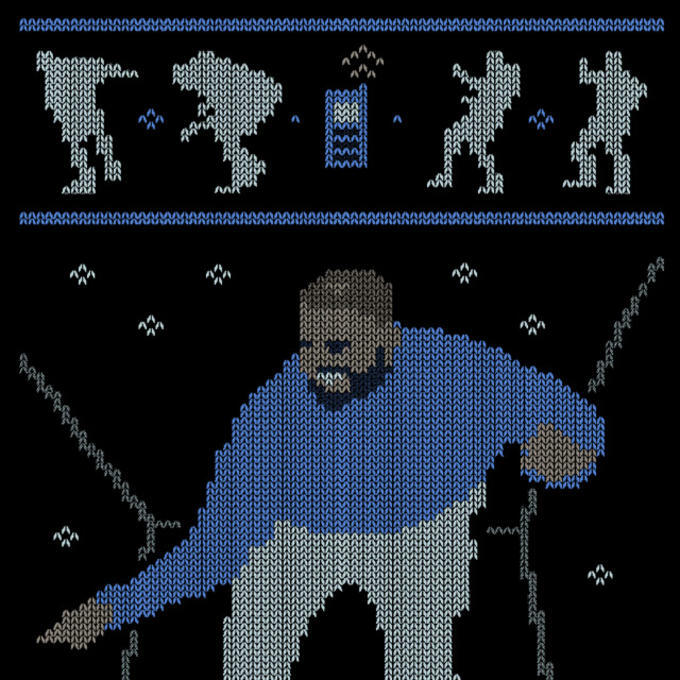 Thanks to the site The Yetee, the rapper&apos;s epic dance moves have now been immortalized in the form of a poly blend cleverly called "Holiday Bling." The screenprinted sweater features Drizzy getting down in his turtleneck as delicate snowflakes fall around him. There is also a ringing cell phone and a series of mini Drake silhouettes dancing above him. The limited piece will only be available until Nov. 8. So head over to the online store to pick yours up before it&apos;s gone.